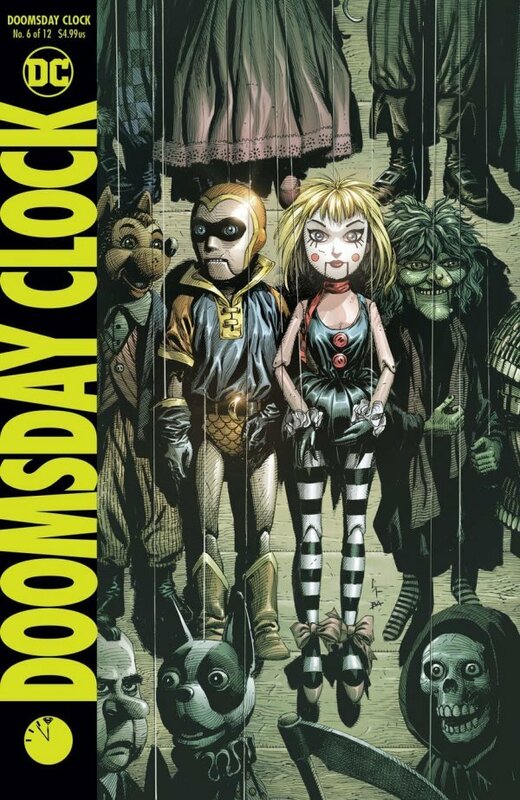 Matt C: Now on a bimonthly schedule, Doomsday Clock returns with its sixth instalment this Wednesday, reaching the halfway mark. Meticulously crafted, there's too much intelligence behind its creation for it to be glibly dismissed, and while the wider picture remains unclear, the various narrative elements in play are thoroughly compelling, both Johns and Frank at the peak of their powers. 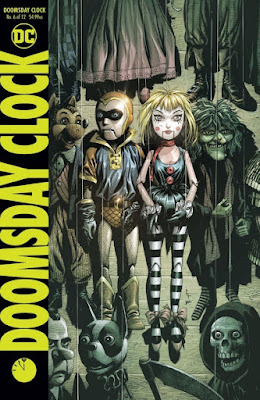 This isn't Watchmen 2, it's something else entirely. From a halfway point to an endpoint, Descender reaches its finale with issue #32 - it has been a fine, emotive series, but something tells me we won't see a complete resolution to the story as it's been announced that the creative team of Jeff Lemire and Dustin Nguyen are returning with a sequel, Ascender, next year. Can't wait. From endings to beginnings, and a new miniseries from Ales Kot, New World. Its futuristic setting - after the events of a Second Civil War in the States - may suggest that it will cover similar ground to Kot's other current Image series, the blisteringly brilliant Days Of Hate, but I suspect the tone won't be quite as bleak or realistic. Over at the House of Ideas, the highlight will surely be Second Genesis #1, the second volume in the X-Men: Grand Designs series, where idiosyncratic creator Ed Piskor does the seemingly impossible by streamlining the insanely convoluted history of the X-Men into one digestible package. Even if you think you know all there is to know about Marvel's merry mutants, Piskor is bound to prove you wrong! Jo S: Last week it was Image Week for me, this week we're back to Marvel dominance, as X-23 and Multiple Man both roll into issue #2, the hilarious Deadpool: Assassin keeps my attention into issue #4 and two new offerings pop up on the menu. Kelly Thompson takes newlyweds Rogue and Gambit from their recent sojourn on a suspiciously romantic honeymoon retreat island and pursues their search to find happiness as Mr. And Mrs. X - these two have been through so much, together and apart: can Thompson promise a happily-ever-after for them? Ed Piskor’s meticulous labour of X-love, Grand Design, gets a sequel this week, with Second Genesis - as a newbie still to comics, I find this selected history fascinating. It's tricky to know how representative it is of the X-Men as a whole, given that it can only be a taster of this huge oeuvre and given how small my current knowledge, but Piskor’s eye for detail in the first volume of this work appealed to me. In other news, a couple more shiny issue #1s to try out: I looked at Bone Parish for the Shipping Forecast, a story of supercharged drug dealing with horrific side effects, but somehow missed The New World #1 from Image - if billing it as a ‘ballistic sci-fi action romance’ wasn't enough, then surely Ales Kot’s name on the cover has sealed the deal for me; I HAVE to give this one a try.